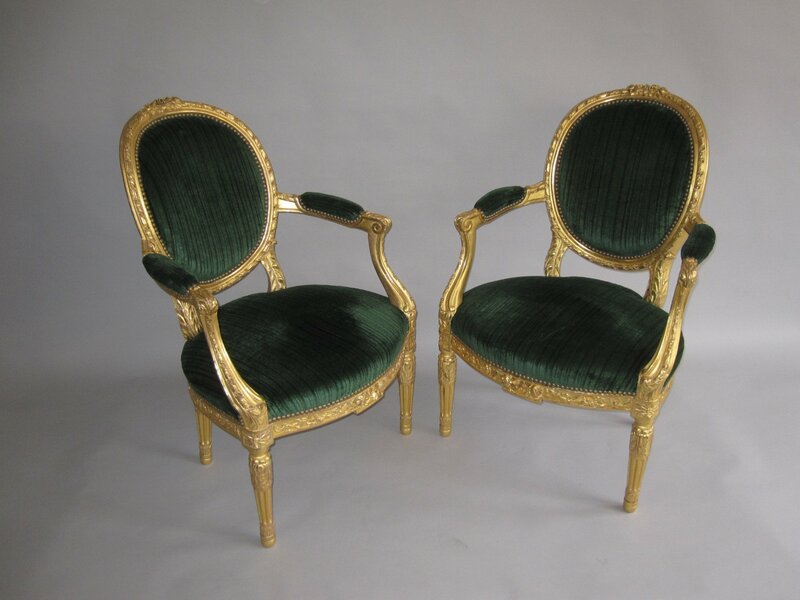 Pair Mid 19th Century Gilt Open Armchairs. French. A fine pair of Mid 19th Century gilt showframe open armchairs. French. The gilt frames with elabourate floral and ribbon carving.